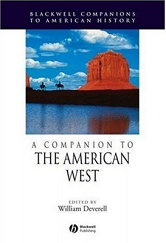 A Companion to the American West is a rigorous, illuminating introduction to the history of the American West. Essays by expert scholars synthesize the best and most provocative work in the field. The essays are lively, well written, and suited to the student, scholar, and all interested readers of the history of the American West.